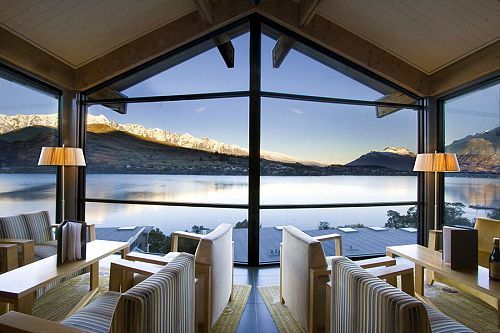 This New Zealand Romantic Luxury Vacation was designed for an anniversary couple from Chicago. They wanted a romantic getaway where they could explore the famous natural beauty of New Zealand and be pampered at luxury hotels. We arranged a trip to some of our favorite unique luxury lodges, with several private boat charters and exclusive excursions that allowed them to see New Zealand’s scenery in complete privacy. First, they journeyed to the Bay of Islands, a scenic paradise on the North Island. They stayed in a gorgeous luxury villa with panoramic views of the ocean, and they spent a day sailing around the islands on a private yacht. They were even able to swim with dolphins! 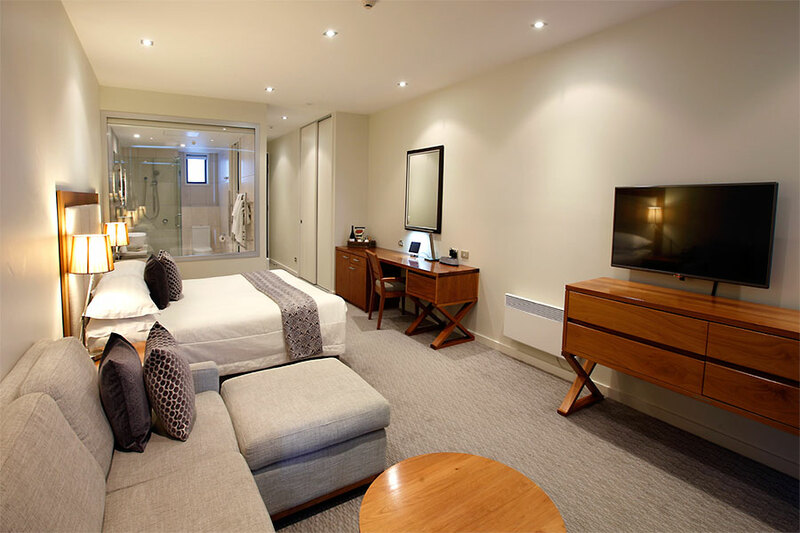 Next for their New Zealand Romantic Luxury Vacation, they traveled to Huka Lodge near Lake Taupo. They loved the classic feel of this luxury lodge, with its cozy furnishings and elegant gardens. Of course, they also had some adventures here! They took a helicopter to an active volcanic island and had a hike on the otherworldly surface. They also chartered a yacht on Lake Rotoiti, exploring hidden coves and secluded swimming spots. Continuing their New Zealand Romantic Luxury Vacation, they stayed at the fabulous Split Apple Retreat in Abel Tasman National Park. 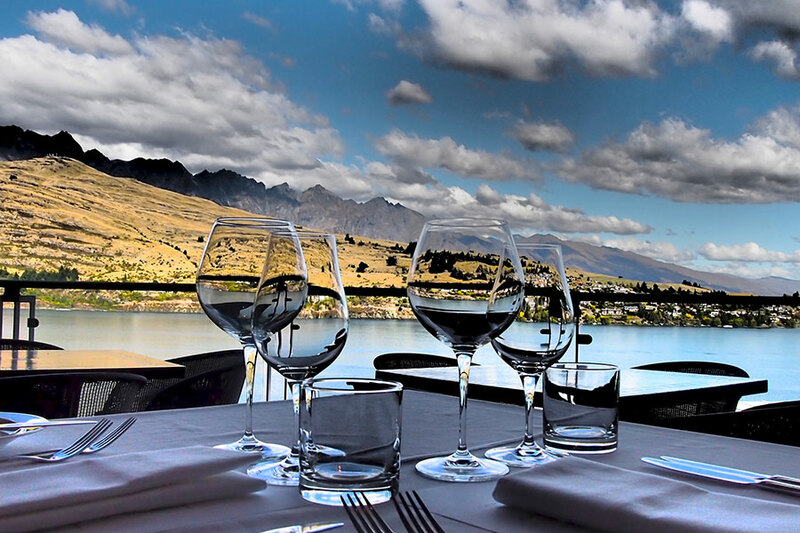 Here, they were treated to a 5-course degustation dinner and a bottle of premium New Zealand wine each evening. They also spent a day exploring the golden beaches and scenic hikes of Abel Tasman on a private cruise, where they were free to stop and explore as they wished. 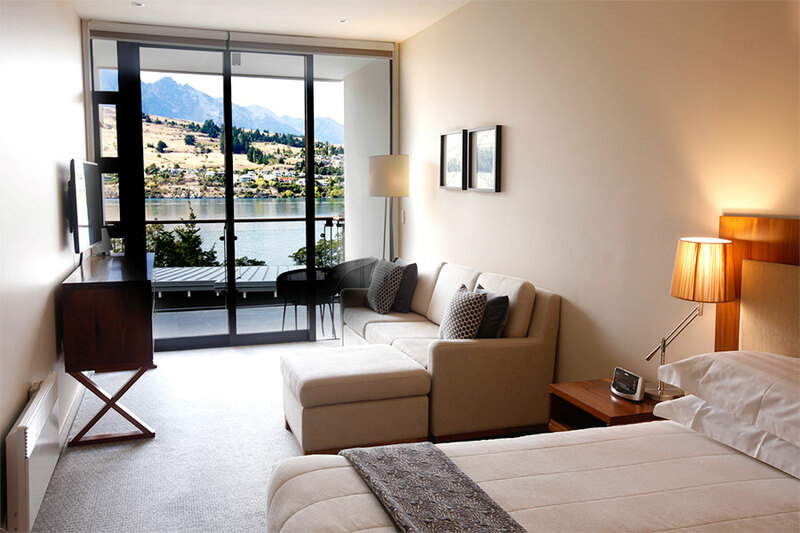 The last stop on their New Zealand Romantic Luxury Vacation was beautiful Queenstown. 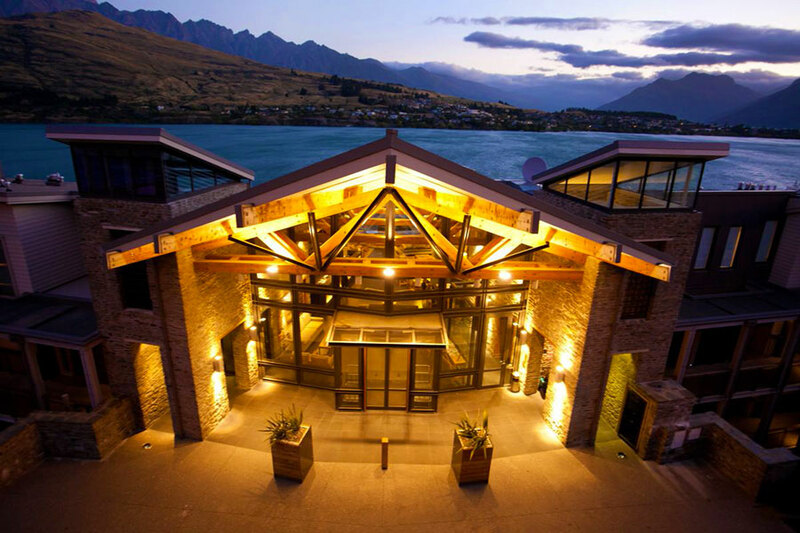 They stayed at The Rees, a beautiful luxury hotel with picturesque views of Lake Wakatipu framed by snow-capped mountains. They spent a day on a private helicopter excursion that took them to the most scenic parts of the South Island, including the serene Milford Sound and glaciers on the West Coast. Landing on top of a glacier and taking in the panoramic views with no one else in sight was a highlight of their travels! Welcome to New Zealand! Fly into Kerikeri on the North Island, where you’ll pick up your rental car and drive to your luxury retreat in the Bay of Islands. Your home for the next 3 nights is a magnificent villa with ocean views, a spacious private balcony, and indoor and outdoor fireplaces. Large windows open to the sea and subtropical landscapes, seamlessly connecting the outdoors to their interior spaces. Enjoy a bottle of champagne upon arrival, plus a daily gourmet breakfast hamper and fresh fruit platter. The services of a personal chef, personal trainer, and massage therapist are available upon request. Relax in your villa this evening and enjoy the peace and tranquility of this unique retreat. Today, you’ll have the opportunity to experience the Bay of Islands like a local with a private sailing charter. Sail among the islands on a spacious yacht that’s purpose-built for day sailing. Help set and trim the sails; relax on the spacious decks; watch for penguins, petrels, and other ocean birds; and enjoy a delicious BBQ lunch onboard. If you’re lucky, you might even have a chance to swim with dolphins! Today is entirely at your leisure to do as much or as little as you like. Golfers shouldn’t miss the chance to play a round at nearby Kauri Cliffs, consistently rated among the Top 100 Golf Courses in the World. Helicopter excursions, fishing, horseback riding, skydiving, and many more adventure activities are at your fingertips. Or, for some local history and Maori culture, explore the excellent interactive museum at the Waitangi Treaty Grounds. Today, drive back to Kerikeri to drop off your rental car and catch a short flight to Auckland, New Zealand’s most populous city. 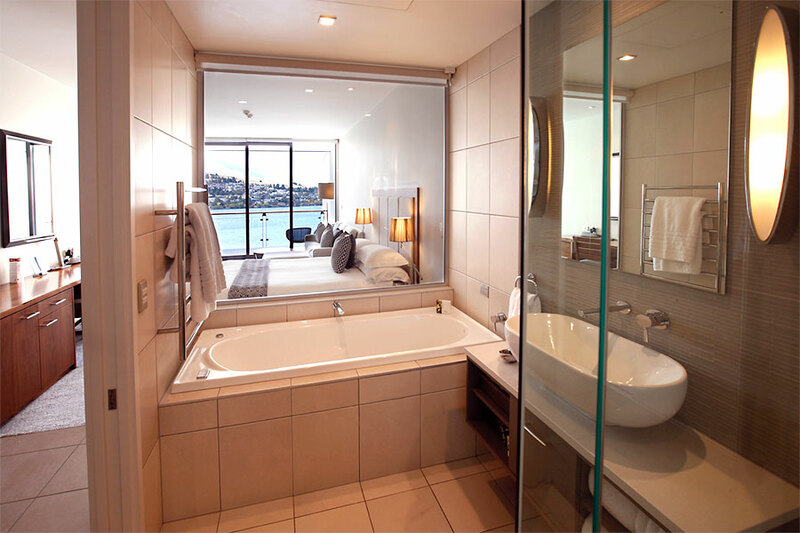 Spend the night in a fabulous hotel in the heart of Auckland, located between vibrant Viaduct Harbour and the new Wynyard Quarter. Venture into town to explore designer shopping and fabulous restaurants, or enjoy fine dining at the hotel’s sleek Lava Dining restaurant. Today, you’ll be treated to a once-in-a-lifetime adventure. Take a helicopter to White Island, New Zealand’s only permanently active volcano, and touch down for a tour of what feels like another planet! Put on your hardhat and embark on a leisurely guided tour of the island’s crater floor to view active steam vents, hot streams, colorful sulphur formations, and the steaming crater. Then, fly over to Mt Tarawera, another volcanic island that last erupted in 1886, and land on the summit for incredible views of dramatic craters. This afternoon, enjoy a more leisurely adventure: a private sailing charter on gorgeous Lake Rotoiti with her many bays and coves. You can fish for rainbow trout, swim in the sunny waters, soak in thermal pools, and hear the stories and legends of the local Maori—all accompanied by fabulous onboard service. 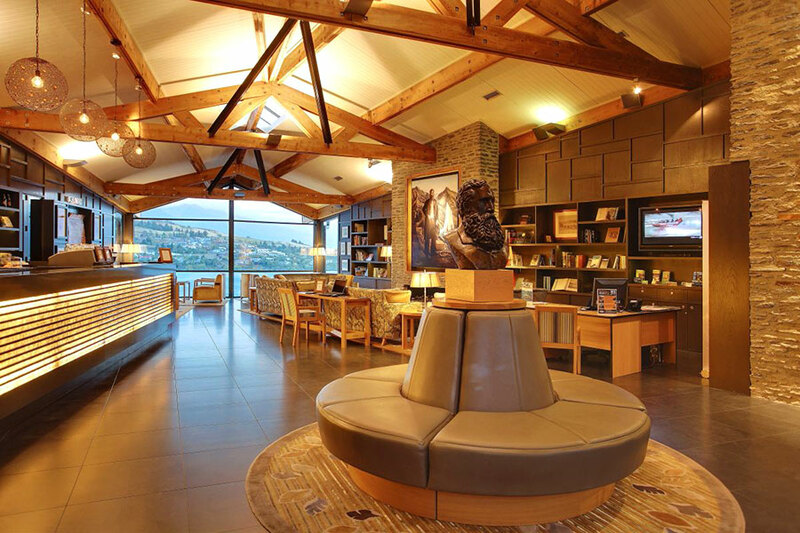 Enjoy a day of leisure at Huka Lodge. After yesterday’s excitement, relaxing in your luxurious suite with gourmet cuisine and a bottle of local wine will be just the ticket! 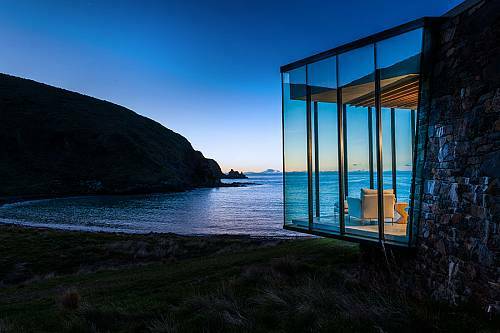 Head to the airport and fly to the South Island today, where you’ll pick up your rental car and make the short drive to New Zealand’s most luxurious spa retreat. Enjoy a warm welcome with tea and a bottle of award-winning New Zealand pinot noir or sauvignon blanc. You’ll have full use of all retreat facilities, including gym, infrared sauna, steam room, outdoor spa pool, infinity swimming pool, and theatre. 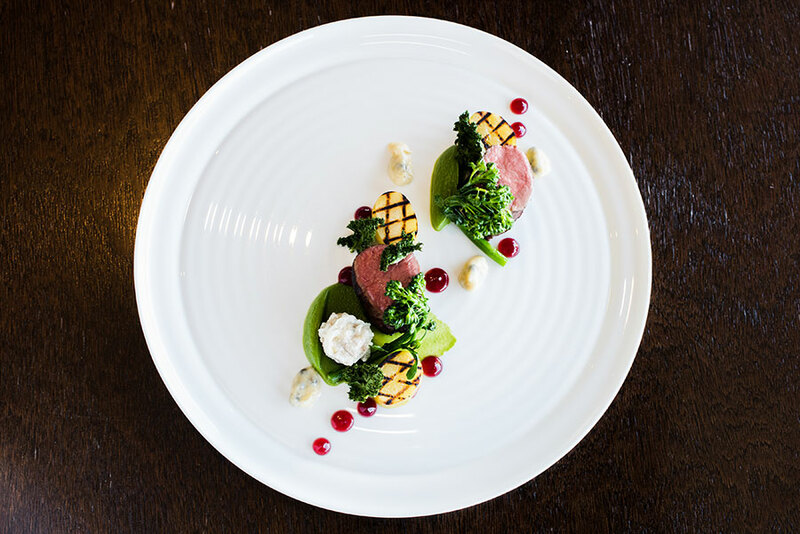 Enjoy daily gourmet breakfast, as well as a bottle of premium New Zealand wine, pre-dinner canapés, and a 5-course degustation dinner each evening. Enjoy being pampered at your fabulous wellness retreat. You’ll have a day to explore the sunny beaches of Abel Tasman National Park with a private charter. The day’s adventures are completely up to you. Explore golden sandy beaches, watch dolphins and New Zealand fur seals in the water, and cruise past the famous Split Apple Rock. Pull into a sheltered bay for a delicious lunch with no other tourists in sight. While lunch is prepared, you can swim, sea kayak, go ashore for a bush walk, or simply relax on the boat. 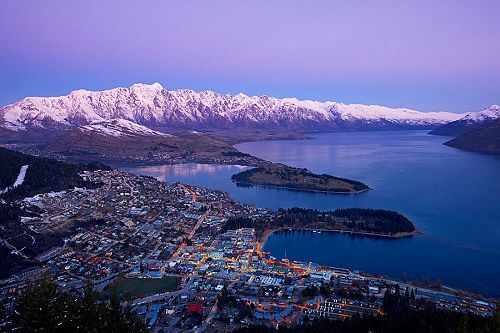 Drop off your rental car at the Nelson airport and fly to Queenstown, your final destination. 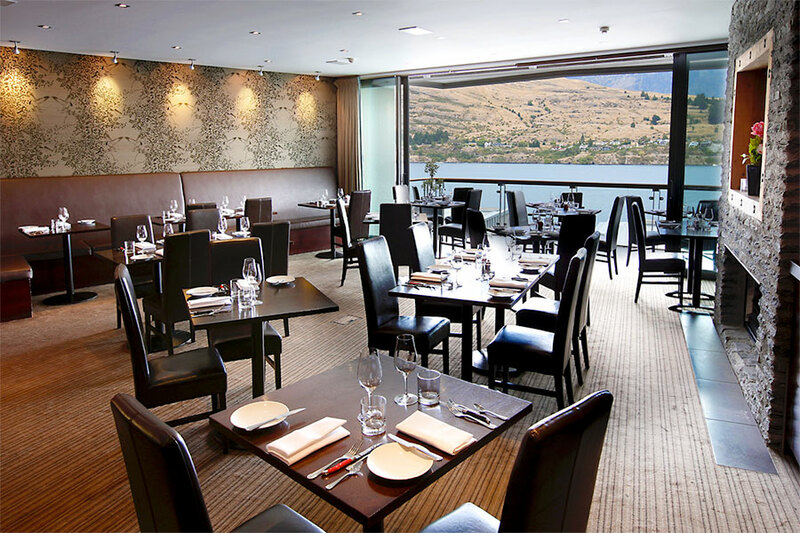 This bustling alpine town offers breathtaking views of Lake Wakatipu and the snow-capped Remarkables mountain range around every corner. Your home for the next 3 nights is an elegant hotel with an enviable location on the lakefront. 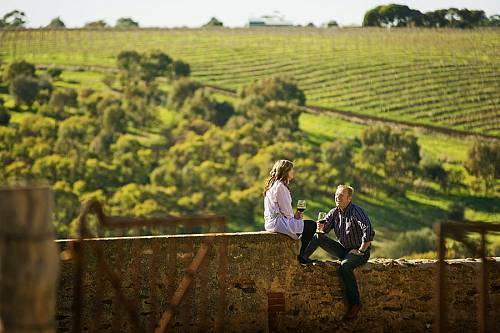 Enjoy gourmet dining and an extensive wine list while taking in the inspiring views. Today, you’ll have the chance to explore the natural beauty of Queenstown, the Fiordlands, Mt Cook, and the rugged West Coast all in exclusive luxury. 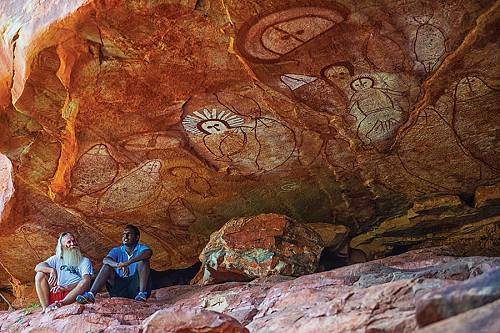 See dramatic mountain peaks, rushing waterfalls, crystal-clear lakes, and impressive glaciers. The scenery seems to change every minute, yet every inch is absolutely breathtaking. During your adventure, you’ll have the chance to take an easy walk to a New Zealand fur seal colony; enjoy fish and chips on a secluded beach; and land on Franz Josef or Fox Glacier for a quick snowball fight. This is the best way to experience the stunning scenery of the South Island in a short amount of time! Your final day in New Zealand is yours to spend at your leisure. Enjoy a scenic stroll along the lakefront, discover some of the lively restaurants and bars in town, or simply relax and soak up the views at your hotel. Today, your incredible New Zealand adventure comes to an end. A private transfer will bring you from your hotel to the airport, where you’ll begin your journey home.